Why do car seats expire? Because nothing lasts forever. For a less smartass answer read on. Buy yourself a $9.99 plastic storage bin and set it in your back yard. These are made of the same basic plastics as a car seat although it’s generally a little thinner than the thinnest part of a car seat. For my example, in 2010 there was a flood in Nashville, one of my brand new bins got put in the backyard in the shade and there it sat for four years. Two or three weeks ago the plastic lid looked and felt solid. I had placed a hose on it and a pack of fertilizer temporarily and had no indication that there was any weakness. Two days ago I looked at it and there was a giant hole. The lid had collapsed. The plastic was brittle everywhere. From the size and shape of the hole, my guess is a 12 pound cat decided to sun himself and went through the lid. Now this is on a piece of plastic that was outside, didn’t vary in temperature all that much, did not get the oven-car effects a carseat does, nor was it charged with protecting a human life that struggles to escape it every time it’s placed in it. My plastic bin got less thermal action and significantly less movement than a carseat would. After a few years, plastic just starts breaking down. Maybe it’s a little, maybe it’s a lot. Without taking a stress test and x-rays you can’t tell if the thing is fine or has 100,000 microscopic cracks that run throughout the seat. Safety industries have erred on the side of caution and set expiration dates. These dates are the times you can assume a car seat under most circumstances will survive without damage. After these dates, the seat probably isn’t going to spontaneously fall apart, but maybe something’s breaking down. Perhaps the piece of plastic that holds the baby strap in is slightly less sturdy than it used to be. Maybe in a wreck a small piece of plastic holding the baby harness breaks causing that strap to extend a quarter inch more. You get the idea. Seats that are kept in a perfect environment – in an air conditioned garage, cleaned regularly so no acidic foods damage them, etc will last significantly longer than a seat kept in 120 degree weather in a car in Arizona. My guess is the expiration dates on these are set somewhere between Arizona and when plastic naturally loses cohesion. In my case, a plastic bin placed outside in May of 2010 failed miserably in October of 2014. This was four years. 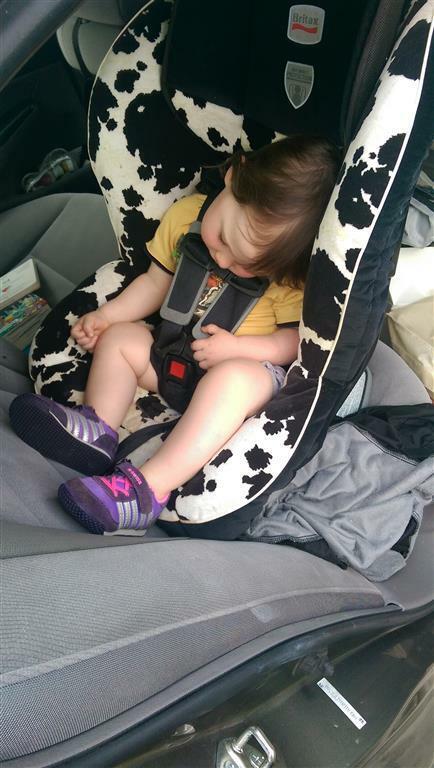 The question most people ask is “why do car seats expire after five years?” There’s your answer. They’re prone to fail. Now, a car seat and a cheap plastic bin are different… slightly different plastic, different build qualities, etc, but they’re not that significantly different. Plastic is plastic, and plastic will eventually fail. It’s a big enough failure that it could kill a child. Why car seats expire? This. While they may look, feel, and actually be great after expiration, you have no assurances that something in them hasn’t weakened. That’s about it. You can read my finding on expired car seats elsewhere, but you don’t need to. Car seats expire because of plastic fatigue. Car seat laws are there to make sure babies aren’t allowed to be in unsafe car seats and officers and courts don’t have to use best guess judgement to enforce the safety laws. Manufactures set car seat expiration dates in accordance with federal mandates.